On Friday İstanbul started hosting yet another major exhibition when the Pera Museum unveiled its newest show, a selection of engravings and paintings by Spanish artist Francisco de Goya, at its temporary exhibition hall. 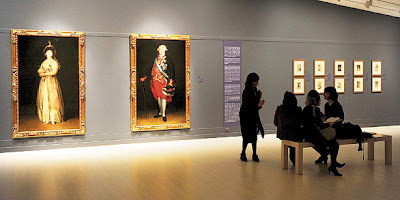 Titled “Goya: Witness of His Time,” the Pera Museum show features a total of 230 pieces -- made up of oil paintings and four series of engravings -- by the artist, billed in the art world as the last of the Old Masters and the first of the moderns. 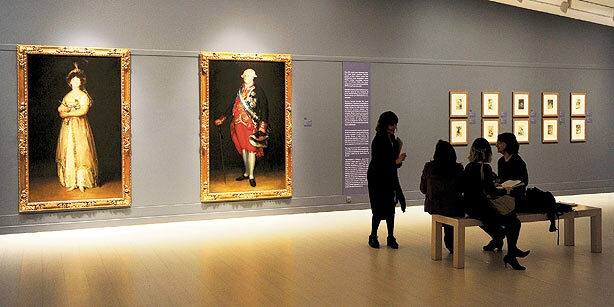 The Pera exhibition is the first-ever major exhibition of works by Goya (1746-1828) in Turkey. Curated by Marisa Oropesa and scheduled to continue until July 29, the exhibition consists of works on loan from a number of leading museums and private collections in Spain and Italy. A joint effort between the Spanish Embassy in Ankara and the Cervantes Institute İstanbul, the exhibition brings together works from the collections of Spain’s Bilbao Fine Arts Museum and Santamarca Foundation as well as a number of private collections in addition to a number of pieces from the Uffizi Gallery in Florence, Pera Museum officials told reporters during a press preview for the exhibition on Thursday. Goya, having lived at the turn of the 19th century, is one of the best narrators of “darkness” and Oropesa’s selection features Goya’s works that bear witness to a turbulent period in Europe and particularly his native Spain.